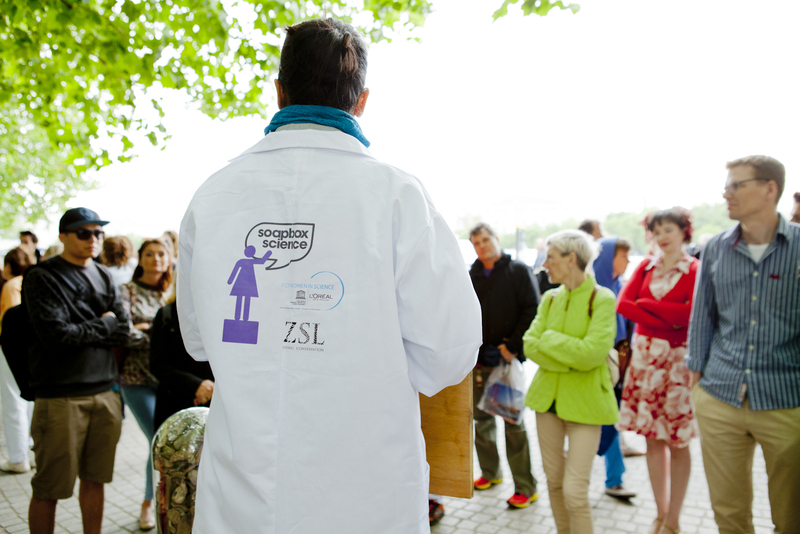 In 2015, Soapbox Science celebrated its fifth year supporting women in Science and Engineering with events around the UK. Our science festival focused on promoting and supporting women in science, aims to change this. It provided training, support and opportunity for scientists to directly engage with the general public, share their research and become role models. That year, 90 female scientists took their science to the streets of London, Exeter, Bristol, Swansea, Manchester, Newcastle, Glasgow and Belfast throughout May and June 2015. Our initiative has two aims: to bring the opportunity to meet and interact with scientists to places you wouldn’t normally expect, and to increase the visibility of women in science. The importance of role models in both encouraging the next generation of scientists and supporting those already working in these male-dominated fields is well recognised. Soapbox Science helps challenge gender stereotypes that are established early in life by increasing the visibility of women in science and through locating events in popular public spaces like parks, high streets and beaches. With speakers ranging from PhD students to Pro Vice-Chancellors, Soapbox Science showcased the full spectrum of the academic career path, and gave speakers themselves the chance to meet and network with other women in science. Our events are open to the public, free of charge, and great fun. Expect props, demonstrations and specimens, not to mention bags of passion and enthusiasm!